Haigh’s Chocolates source the world’s best cocoa beans to make their famed range of premium chocolate. Often referred to as ‘the food of the Gods’, chocolate is one of the culinary world’s true marvels and it has delighted mankind for centuries. The Olmec people in the southern part of what is now Mexico, the Mayan civilisations and the Aztecs all enjoyed cocoa before introducing it to the Spanish at the start of the 16th century. The actual process of taking the fruit of the cocoa pod and turning it into chocolate has changed very little from those ancient times. Technology has seen advancements in the processing, but the overall process is essentially the same. The bean is removed from the cocoa pod, sun-dried and then transported to a factory where it goes through a series of processes before eventually forming a silky, smooth liquid chocolate – the perfect base to make a range of delicious chocolate products. 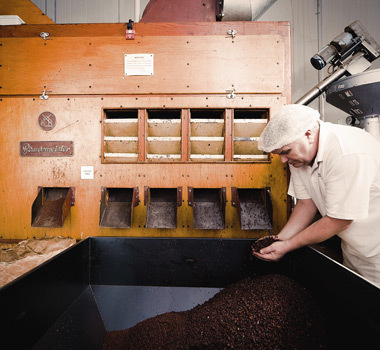 At the heart of this process is the fact that the best beans make the best chocolate. Haigh’s Chocolates source premium quality cocoa beans from the best cocoa growing regions around the world. In 2014, Haigh’s was the first Australian owned chocolate manufacturer to achieve international UTZ certification for the use of ethically and sustainably farmed cocoa beans with 80% of its range UTZ certified. 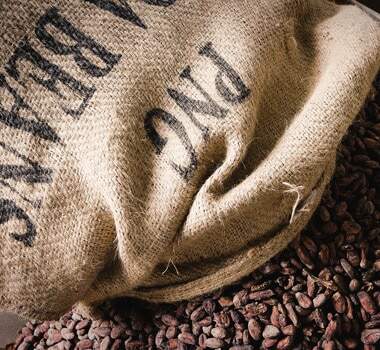 As it endeavours to achieve 100% certification, Haigh’s still leads the way for sustainable production with a supply chain spanning cocoa-growing countries from West Africa to South America. Haigh’s Chocolates not only sources premium cocoa beans, they also process them in their own factory to make their range of premium chocolate products, which they then sell exclusviely in their own retail stores. This dedication to a true bean-to-bar process means Haigh’s can guarantee the utmost freshness and quality of their chocolate. Venture into a Haigh’s store in Adelaide, Melbourne, Sydney, Canberra or shop online, and sample their delicious products, which includes their limited release Single Origin range. Like wine grapes, cocoa beans have flavour characteristics unique to variety and area of origin. Haigh’s Chocolates Single Origin is made from cocoa beans sourced from a single location. Try one and discover the true bean-to-bar difference.